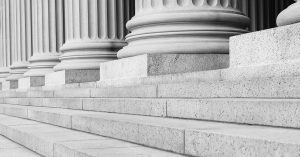 Law Update Category Archives — Massachusetts Injury Lawyer Blog Published by Boston, Massachusetts Injury Attorneys — Breakstone, White & Gluck, P.C. For decades, the Massachusetts courts have adhered to the “transitory water doctrine.” Simply put, under this common law standard, Massachusetts property owners have generally been shielded from liability in slip and fall cases when an injury results from normal use in wet weather. For example, a customer who wears boots in the snow and tracks water into a store, causing another customer to slip. Established more than 40 years ago, the transitory water doctrine has set the legal standard for property owners. With no incentive to avoid liability, large commercial property owners were virtually free from worries about injuries caused by water tracked in from outside. Make no mistake: many people have been badly hurt right after crossing the threshold of a store, where the water and grime are most concentrated. But this may change, after a recent ruling by Superior Court Judge Cornelius J. Moriarty II. In a major victory for the rights of injured workers, the Supreme Judicial Court ruled today that pain and suffering damages, to which injured workers are entitled in their accident cases, are not subject to liens from workers’ compensation insurance companies. As a result of the ruling, workers will be able to keep more of their personal injury settlements and verdicts. Until today, there was confusion over the relationship between workers’ compensation liens and damages paid by a third party to employees for worksite injuries. If an employee gets injured, he or she is entitled to workers’ compensation for lost wages, medical bills, and other specific damages. But workers’ compensation insurance does not pay for pain and suffering damages. State officials have not lived up to mandates to maintain a website for consumers to compare pricing for medical procedures and doctor’s visits. The Boston Globe detailed the problems with the website development this week. 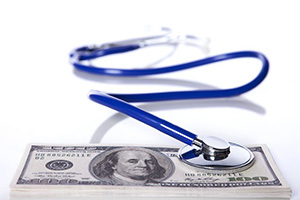 Meanwhile, the state’s Health Policy Commission recently released its “2015 Cost Trends Report.” The report noted less competition is driving rising health care costs, not higher quality care or other common measures of value. The state’s health care reform law of 2006 required a website be established to inform the public about health care cost and quality of care. The website was also included in 2012 legislation. While there have been websites launched, no website is currently available. As a result, consumers have no central resource to research the costs of a medical procedure or a doctor’s visit at different medical facilities. Pricing cannot be a factor in their decision-making process. The state’s Center for Health Information and Analysis is still deciding what information to include in the website, The Globe reported. Many consumers can access some pricing information through websites developed by their health care plans. Contact your health insurance company by telephone if you cannot find your plan’s site. Insurers were required to launch websites by the state, but only members can access these databases, which may be limited. Even the Massachusetts Association of Health Plans supports a state-run website to validate the information. Consumers should also be able to contact a hospital or doctor’s office and request pricing in advance. This will take longer than simply searching a website, but it may be worth your time if you are scheduling a medical procedure or tests. Prices and the quality of care vary widely. For example, maternity care for low-risk pregnancies can cost $9,722 some hospitals compared to $18,500 at Massachusetts General Hospital in Boston. Read more in the “2015 Cost Trends Report” and The Boston Globe. In an important victory for an injured mother, the Appeals Court permitted a plaintiff’s negligence claim to survive a motion for summary judgment, overturning a Superior Court judge’s holding that the recreational use statute barred recovery. The question on appeal arose when summary judgment was granted to the defendant, Seekonk Grand Prix Corp., a go-cart, mini-golf, bumper car, and arcade business, which was sued by a mother who was injured on their premises. The defendant argued to the Superior Court judge that the mother was watching her two sons drive go-carts, which constituted a recreational activity, when she was injured on the premises. Specifically, a little girl drove through a fence and struck the plaintiff causing a number of injuries including a pulmonary embolism that resulted from a blood clot in her leg. The defendant noted that the mother did not pay a fee to be on the premises to watch her children drive go-carts and was thus barred from recovery under the recreational use statute. 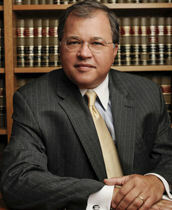 The Superior Court judge, citing case law indicating that the statute provided immunity from liability when a landowner did not impose a charge or fee for an injured plaintiff’s recreational use of the land, agreed, and granted the defendant summary judgment. See Seich v. Canton, 462 Mass. 84, 85-86 (1997) (holding municipality’s fee to defray expenses for participation in a basketball league did not constitute fee for public use of town land; thus, parent who was injured in a slip and fall while attending daughter’s basketball game was barred from action against town); Whooley v. Commonwealth, 57 Mass. App. Ct. 909, 910 (1997) (barring plaintiff from recovery for slip and fall at hockey rink under recreational use statute because she had free use of the rink for the recreational purpose of spectating her grandson’s hockey game and she failed to show evidence that grandson’s hockey team in fact paid for its use of the rink). The Massachusetts recreational use statute provides that those who make their land available to the public for “recreational . . . purposes without imposing a charge or fee therefor, . . . shall not be liable for personal injuries. . . sustained by such members of the public . . . in the absence of wilful, wanton, or reckless conduct by [the landowner].” M.G.L. c. 21, § 17C(a). The Appeals Court in Amaral noted that the term “recreation” was not defined by statute, nor had it ever been defined by the Supreme Judicial Court. Dicta in Catanzarite v. Springfield, 32 Mass. App. Ct. 967, 967 (1992) construed the term “recreation” to include “passive pursuits, such as watching baseball,” but the Supreme Judicial Court “prefaced this remark by stating that it had ‘never defined the term. '” At least one other Appeals Court case cited the dicta in Catanzarite but “in a manner that leaves in some doubt its own views of the principle.” Nantasket Beachfront Condos. LLC v. Hull Redev. Authy., 87 Mass. App. Ct. 455, 465 n.13 (2015). On appeal, the Appeals Court noted that the plaintiff’s presence on the property was not for a recreational purpose: she was a parent who accompanied minor children, purchased tickets for their use of go-carts, and remained to supervise them. In essence, the plaintiff was using the facility for the recreation of her children, and she paid for that use by purchasing tickets. The court reasoned that application of the recreational use statute’s immunity provision would undermine the very purpose of the statute: “to encourage landowners to permit broad public free use of land for recreational purposes by limiting their obligations to lawful visitors under the common law.” Furthermore, the court noted that the mother purchased the tickets for use of the go-carts, tickets which she could have conceivably used herself. Because the plaintiff was charged a fee for her particular use of the land, her use was not free. Nor was her activity–monitoring her minor children while they drove go-carts–recreational in nature. Therefore, summary judgment was not appropriate. The judgment of the Superior Court was vacated and the case remanded for further proceedings consistent with the Appeals Court’s decision. Individuals should be mindful that their use of land designed for public recreational use, free of charge, comes with the caveat that the landowner may not be responsible for any personal injury absent wanton, willful, or reckless conduct. Always proceed with caution when engaging in pickup sports games, or recreational activities that could lead to personal injuries. If you or someone you know has been injured, do not hesitate to contact the attorneys at Breakstone, White & Gluck, PC of Boston for a free consultation. 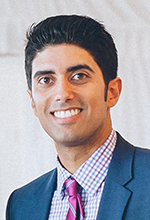 Reza Breakstone joined Breakstone, White & Gluck as an associate in 2015. Reza has earned a reputation as a tough and tenacious litigator helping both individuals who have been personally injured and burgeoning companies who have had insurance and contract disputes. After law school, Reza joined the Boston office of Mintz Levin, where his practice encompassed complex business litigation, federal antitrust defense, and securities litigation. While at Mintz Levin, Reza received a fellowship to serve as an Assistant District Attorney with the Suffolk County District Attorney’s Office, working out of the West Roxbury Division of the Boston Municipal Court. In this year-long fellowship position, he prosecuted a wide range of criminal offenses and gained valuable in-court and trial experience having tried seventeen cases before a judge or jury, and securing convictions in a majority of his trials before a jury. Read his bio. A man who was injured by a driver who suffered a seizure due to his brain tumor could not sue the driver’s neurologist for allegedly failing to warn him not to drive, or for otherwise failing to control his driving. On December 21, 2001, the plaintiff suffered serious personal injury when he was struck by a car operated by the defendant driver. The driver had been diagnosed with a brain tumor in September 2000 after he had suffered a grand mal seizure. The tumor was malignant and inoperable. The driver waited six months before he began driving again, as required by Massachusetts law. His treating neurologist, Frederick Hochberg, M.D. of Massachusetts General Hospital, allegedly did not attempt to prevent his patient from driving again and did not warn him not to drive. After he was hurt, the plaintiff sued the driver’s estate (the driver had passed away). He also brought a medical negligence claim against Dr. Hochberg. The plaintiff claimed that Dr. Hochberg owed a general duty to the public who might be injured due to the nature of the underlying medical condition that he was treating. The plaintiff argued that the duty rose from the special relationship between a physician and a patient. The plaintiff argued that general negligence principles created a duty in Dr. Hochberg to warn his patient of the dangers of driving while suffering from the brain tumor. The Supreme Judicial Court rejected both arguments. In 2007, the court had found, in Coombes v. Florio, 450 Mass 182 (2007), that a physician may have a duty to warn his or her patient about the side effects of medication being prescribed. The court ruled that this duty extended to third parties who might be injured if the warning had not been given. But the court refused to extend that ruling to include medical conditions under treatment. The main concern of the court was that the physician did not do anything to increase the likelihood of harm by the patient, compared to the physician who might be liable for prescribing medication and thus creating additional risk. The court also believed that further imposition of duty would intrude on the doctor-patient relationship and might increase collateral costs. This case represents the second time the court has stated that it will not be expanding the duty recognized in the Coombes case. At least that narrow exception survived. The case is Medina v. Hochberg, SJC-11178 (May 13, 2013). The Massachusetts Supreme Judicial Court has rejected an appeal by the City of Newton which attempted to claim an exemption from liability for personal injuries suffered by a softball player on one of its fields. The City claimed it was exempt from liability under the Recreational Use Statute, but the court ruled the statute did not apply. Click here to read our case summary and for a link to the opinion. An appeal by a plaintiff in a medical malpractice case involving a failure to diagnose cancer has led to a new trial. The Appeals Court reversed the directed verdict, entered by Superior Court Judge Patrick Brady, after finding that the judge had improperly allowed the defendant’s motion for a directed verdict. The case arose from the treatment of a patient who was having complaints of hoarseness and acid reflux. After several months of delay, a CT scan on the neck was finally performed, which revealed the presence of tumor near the esophagus and in the lung; the tumor was affecting the nerves which controlled the vocal cords. A biopsy revealed a non-small cell cancer which was staged at Stage 3B. Treatment was unsuccessful, and the patient died a year and a half later. Claims were brought for medical malpractice resulting in conscious pain and suffering, wrongful death, and negligent infliction of emotional distress, among others. At trial, the plaintiff’s expert was prepared to testify that if it had been diagnosed in a timely manner, the cancer would have been at Stage 2 or possibly Stage 1. Judge Brady would not permit the testimony of “possibly Stage 1” and eventually foreclosed any meaningful expert testimony on his opinion about the stage of the cancer. Those rulings set the stage for the judge’s allowance of the defendant’s motion for a directed verdict. On appeal, the Massachusetts Appeals Court found that the testimony about the tumor being “possible Stage 1” was properly excluded, but that the testimony about the tumor being likely Stage 2 was improperly excluded. Accordingly, the judge’s ruling was reversed, and the plaintiff will now have a second chance at trial. Under a loss of chance theory, a “plaintiff must prove by a preponderance of the evidence that the physician’s negligence caused the plaintiff’s injury, where the injury consists of the diminished likelihood of achieving a more favorable medical outcome.” Id. at 17. The court explained: “[P]robability of survival is part of the patient’s condition. When a physician’s negligence diminishes or destroys a patient’s chance of survival, the patient has suffered real injury. The patient has lost something of great value: a chance to survive, to be cured, or otherwise to achieve a more favorable medical outcome…. Thus we recognize loss of chance not as a theory of causation, but as a theory of injury.” Id. at 16. The case decided was Carreri v. Isihara, Mass.App.Ct. No. 10-P-109 (August 25, 2011). The Massachusetts Appeals Court recently ruled that Metropolitan Property and Casualty Insurance Company may have violated state law when it failed to make prompt payments on a no-fault claim. The ruling reversed a trial court decision, and remanded the matter to the trial court for further proceedings on the plaintiff’s claims against the insurance company for bad faith. Importantly, the court stated that the emotional distress the plaintiff claims she suffered could be considered as part of her damages under the Consumer Protection Act, M.G.L. c. 93A. There is very limited authority in Massachusetts for emotional distress damages in claims under M.G.L. c. 93A. The facts of the case were straightforward. Ms. Chery was injured in a car accident and obtained medical treatment. Metropolitan was responsible for personal injury protection (PIP) benefits, but failed to pay the bills within thirty days, as required by M.G.L. c. 90, Sec. 34M. The plaintiff filed suit, claiming violations of c. 90, c. 93A, and c. 176D, which governs claims and settlements. The insurance company eventually paid the bills, then claimed it could not be liable for its bad faith claims handling. The District Court judge agreed and plaintiff appealed. The Appeals Court agreed that the claimant had no further right under the insurance contact itself, as the bills had been paid. However, the court found that there was evidence of bad faith, and the simple payment of the bills did not cure the harm caused by the delay. Among other things, the plaintiff had to file suit, incur litigation expenses, and suffer the unreasonable delay. The plaintiff also claimed that she suffered emotional distress, as her bills were put into collection, and she worried about her credit being affected. The court specifically ruled that the emotional distress damages, even though not readily quantifiable, may be considered compensable under Massachusetts law. The case was a victory for Massachusetts consumers. The case is Chery v. Metropolitan Property and Casualty Insurance Company, Massachusetts Appeals Court No. 10-P-103 (June 16, 2011). The Supreme Judicial Court (SJC) today affirmed the right of an employee of an uninsured subcontractor to bring third party claims against the general contractor, even if the general contractor has made workers’ compensation payments pursuant to G.L. c. 152, § 18. 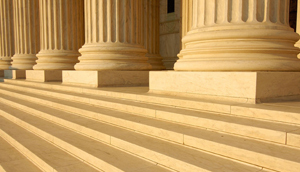 The case was an important victory for workers injured in construction accidents. The case arose from an explosion on a residential construction site. The explosion killed a worker and seriously injured his son, who was also working at the site. Both men were employed by Great Green Barrier Co., which did not have workers’ compensation insurance. As a result, pursuant to G.L. c. 152, § 18, the general contractor, Henry C. Becker Custom Building Ltd., was liable for the workers’ compensation obligations. This obligation arises under the policy in Massachusetts that a general contractor is responsible to hire only subcontractors which have workers’ compensation insurance available for their employees. The defendant argued that the statutory scheme prevented the plaintiffs from making third party claims once they had accepted lump sum workers’ compensation settlements pursuant to G.L. c. 152, § 23, which ordinarily bars workers from maintaining negligence claims against their employers if they have accepted workers’ compensation benefits. While this argument had persuaded the trial court, which granted summary judgment for the defendant, the ruling had been overturned by the Appeals Court. Wentworth v. Henry C. Becker Custom Bldg. Ltd, 76 Mass.App.Ct. 507 (2010). The SJC granted further appellate review and affirmed the Appeals Court ruling, which reversed the summary judgment for the defendant. Click here for more information on this case.